Highlights from Potters Leisure Resort, Norfolk. Browse content similar to 2017 Highlights. Check below for episodes and series from the same categories and more! Nicky Brett begins his defence of the world title and Alex Marshall faces Robert Chisholm. Highlights of the final of the mixed pairs and second-round action in the singles. Highlights of the ladies' singles final and second-round open singles matches. Quarter-final highlights from the men's singles, presented by Rishi Persad. 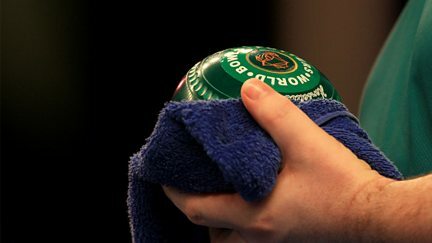 Highlights from both semi-finals in the singles at the World Indoor Bowls Championships.